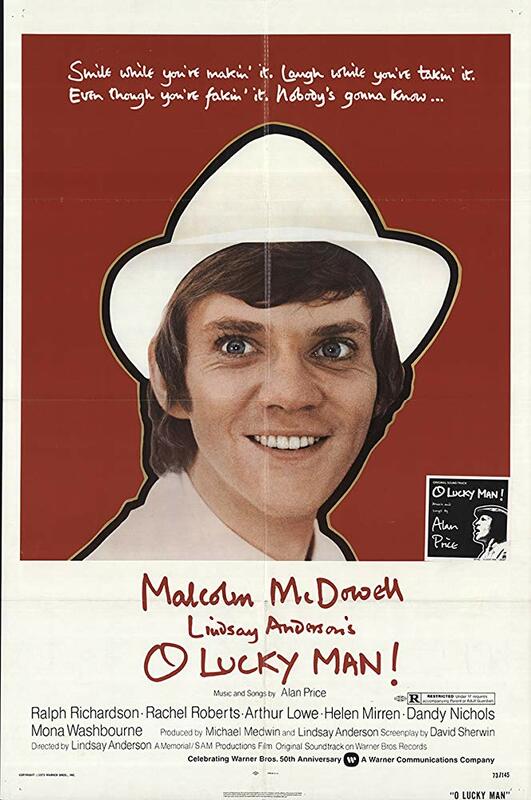 Lindsay Anderson’s 1973 dark-comedy "O Lucky Man!" follows the story of Mick Travis, middle class Brit and coffee salesman who finds himself on a strange journey that involves encounters with flirtatious customers, time spent as a medical guinea pig in a bizarre private clinic, falling in love with a beautiful bohemian named Patricia and ending up in jail, thanks to her politically corrupt father, Sir James Burgess. A satire on the excesses of capitalism and the spread of globalisation, this sprawling, surrealist musical stars Malcolm McDowell, Ralph Richardson, Rachel Roberts and Helen Mirren, with many of the cast doubling-up and playing multiple roles.